Her company, GRI Technology Solutions, Inc. was the first African-American company chosen in the Silicon Valley to participate and complete the Warren Buffett-Goldman Sachs 10K Small Business Program. She is also managing partner with Canadian technology company – PWC Technology Services, Inc.
She has also served as Sr. Diversity Program Manager for Microsoft – 2000-2004 at the Mountain View, CA campus. 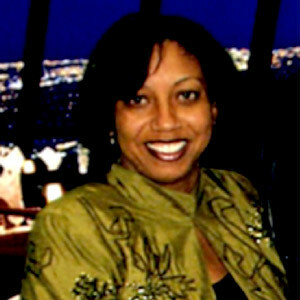 As a key diversity advocate for IBM in the Toronto Lab (2006-2012), she was a primary driver for IBM sponsoring the first ever International NSBE conference in Toronto 2010. Charlotta founded a non-profit, DSA ( DVRSTY-STEM Accelerators) www.dstemaccel.org in April 2015. DSA has the expressed focus on growing diversity technology in the Silicon Valley and beyond. She is married, mother of two (2) daughters, both technologists – Jana (Sr. SAP Executive – Toronto) and Brittany (Sr. Biotech Engineer – San Francisco).